SHIFTMobility is looking to leverage blockchain technology to bring together everything that’s happened to a vehicle into a single solution. With that goal in mind, the provider of blockchain powered connected shop solutions recently released a tool called Vehicle Passport. The company explained Vehicle Passport can create a digital identity for any vehicle that can be used to track service history, transactions and real-time events. SHIFTMobility leadership explained vehicle owners need no longer depend on the service histories provided by previous owners or third parties that might be incomplete. SHIFTMobility said its app can store everything from transactions to sales deed, title, insurance, proof of ownership and receipts, which drivers can make instantly available to dealerships and service centers to ensure they have the products and services when and where they need them. Consumers can also easily order and pay for replacement parts and services for using SHIFTMobility Auton digital tokens. The tool’s capability impressed Nidhi Modi, who is managing director of the Modi Group, whose portfolio includes brands such as 7-Eleven. “As dealership incentive spending hits record levels, optimization has never been more critical. 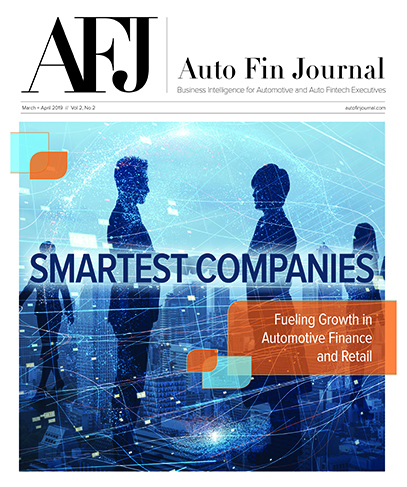 Managing incentive plans is difficult enough with one dealership, so to tackle our multiple stores and over 2 million vehicles, we needed a solution capable of scaling with our growth while simultaneously delivering the insight necessary to seize advantage,” Modi said. “We look forward to working with SHIFTMobility as we roll out its blockchain-powered Vehicle Passport to all our locations. Not only will the app deliver the corporate intelligence we need, but our customers will benefit from a unique, streamlined experience from vehicle purchase and service to upgrade,” Modi went on to say.